The Los Angeles College Promise will increase the number of community college graduates, university transfer and workforce-ready students throughout our region. 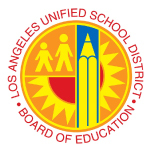 It is a partnership between Los Angeles Community College District (LACCD), Los Angeles Unified School District (LAUSD), City of Los Angeles, LA Chamber of Commerce, UNITE LA and private philanthropy. 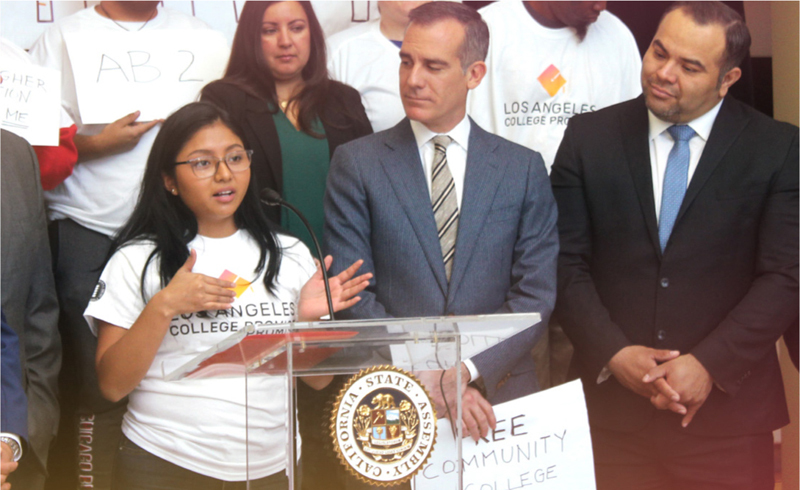 The Promise serves LAUSD and charter school graduating seniors through a comprehensive strategy designed to support students to complete a higher education degree and/or a work-force certificate. Important aspects of the Promise are waived tuition for the first year of college, priority enrollment and a dedicated support team providing a wide array of academic and student support services. The goal is to help students "start right" on their way to "ending right" with a degree, university transfer or workforce certificate in a timely and efficient manner. Research shows that full-time enrollment is a key factor in postsecondary student success. California faces an estimated shortage of one million college-educated workers who are needed to sustain the state's workforce. The L.A. College Promise is already demonstrating powerful results with the inaugural students enrolled in the program who are now attending classes at LACCD's nine community colleges. 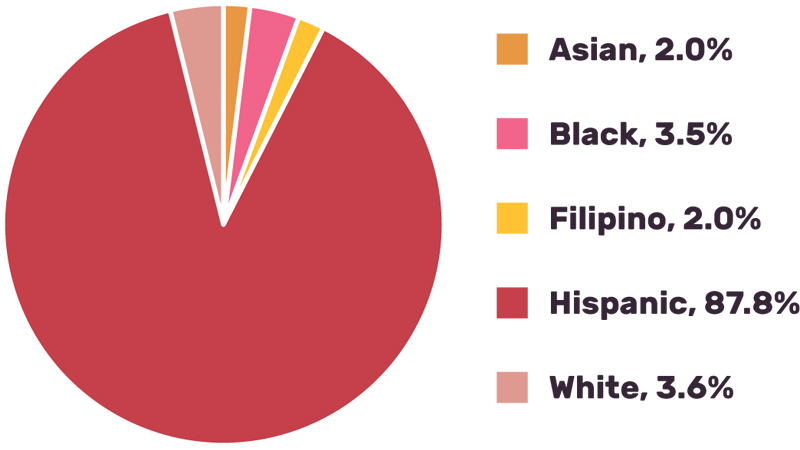 The comparison group is first-time, full-time students in 2016 from LAUSD schools.